I'm wondering if we couldn't just use our existing cranks with an aftermarket 1X ring? Like we do now. Why do we have to be forced to use sram's new cranksets? Every new groupset comes out with the manufacturer saying you need to use the new crank and chainrings. Usually that doesn't turn out to be true. Yeah but in this case the teeth and chain have been revamped and they say it won't work with any other components. That's why I'm thinking we'll have to wait for the Wolftooths of the world to create new chainrings that are compatible with the new chain. -Looks great, love how the crankset looks.. futuristic but cool (sorry campy, the new crank is aweful, this one looks better than shim and campy. - FD allows more space for bigger tires. - gear ratios. This is my favorite. I have been ridding 46/34 up front for about a month. I thought I had a secret, this is just amazing. with a 11-32 cassette in the back, it is just perfect for where I live. Have to switch from the big to the small so much less, the 46T is perfect for rolling hills... sure I have had this on my gravel bike but I have been ridding road with it, want to switch all my road bikes to this now. -Shifters and whole groupset still looks great. Very premium, love the silver accents that they have kept from old etap. - Etap App. Finally something like shimano app. Hope they let you mess with speed of shifting and stuff. - Price. Its even more than the old etap it seems. - Proprietary chainrings. Everyone is doing this and it is a damn shame. - Powermeter linked to chainrings (I did not read this anywhere but in a comment above), this is just DUMB. - Need new blips. the sram blips are gigantic and ugly. - Anything else that is proprietary. God I hate proprietary crap. come on campy, you can still redeem yourself with a 12 speed wireless EPS. GCN video review says that the width of the AXS cassette is the same as the 11s standard. If your wheel has an XD driver conversion available, you should be able to run this. But the Xdr hub is 2mm wider.. 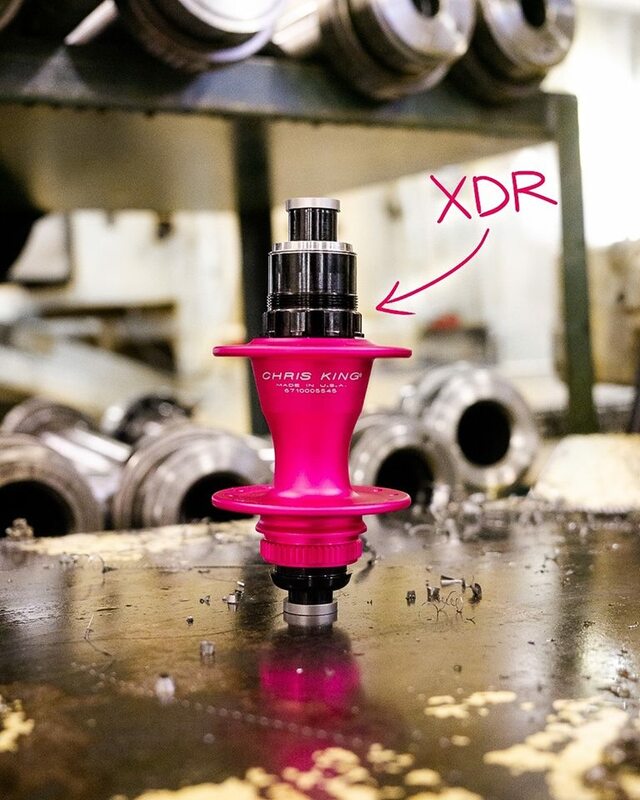 The XDR freehub body is 1.85mm wider than a standard XD hub body, not a traditional road freehub. The XDR hub is the same width as an 11s sram road freehub. If your wheel has an XD option, my interpretation is that you should be able to get an XDR variant for swap in from your manufacturer either already, or shortly. actually been wondering when etap was going to get an update. for something that ships with an update dongle, it's a testament that they went this long... and you still don't need it. God forbid the industry stays with something for more than a year before setting new standards in order to use their products. • Using the AXS app it’s finally possible to customize your shift inputs and shifting patterns. I’m currently using Sram etap 11 with Campy 11 wheels/cassette and it works perfectly. Does anyone know if the new Sram etap 12 will work with Campy 12 wheel/cassette? If so, that might be a way to get around the compatibility issue, although you would be limited to using only the Campy 12 cassettes. Right. My point was that an XDr cassette (12s) won't fit on an XD freehub. In my case I don't have an XDr freehub available because American Classic went out of business. FFFFF! Most likely not -- Campy cassette fits on existing 11 speed without an adapter. Looks like Sram needs an adapter to extend the length of existing 11-speed cassette bodies. No, they use an entirely different freehub body. Same width as a Shimano/SRAM 11 speed road freehub. Last edited by jtbadge; 02-06-2019 at 02:21 PM. Cool, but I’ll be holding on to my rim brakes and mechanical groupsets. Yes, I plan to be the retro grouch of the next generation. And for those that change chainrings to tailor their gearing to specific events? I think they’re offering three different options for their chainring setup, all with 13-tooth difference from small to large. That’s my understanding at least. So it’s expensive to swap them out out they do offer options.